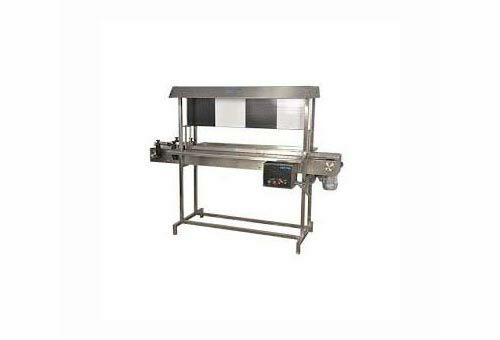 Application : Specially designed for online/offline inspection conveyor for visually inspect the bottles in the alternate white & blackbackground to check for any particles in the liquid filled, sealed & breakage of bottle. Structure made of SS 304 with matt finish. Width & Length can be made as per customer requirement. PVC black & white board as per GMP norms. Special Self- aligning bearing ensure smooth and trouble free rotation of the Roller. Width of the Belt 9”, 12”, 18” ** As per customer application. Working Space 9”, 12”, 18” both side ** As per customer application.